$10.00 each. 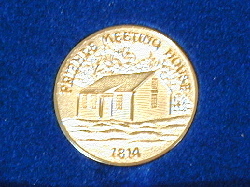 1841-1991 Casco Sesquicentennial coin. Back side shown only. Front side says "Sesquicentennial Celebration. 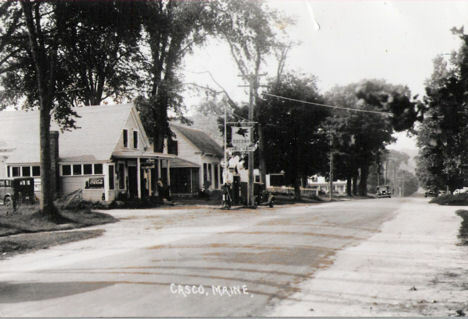 Town of Casco Maine. 1841 to 1991." $10.00 each. 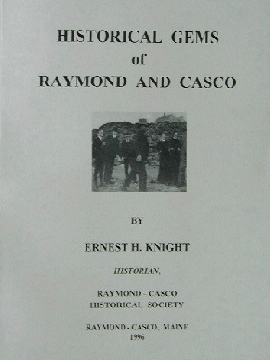 Published in 1996 by the Raymond-Casco Historical Society. 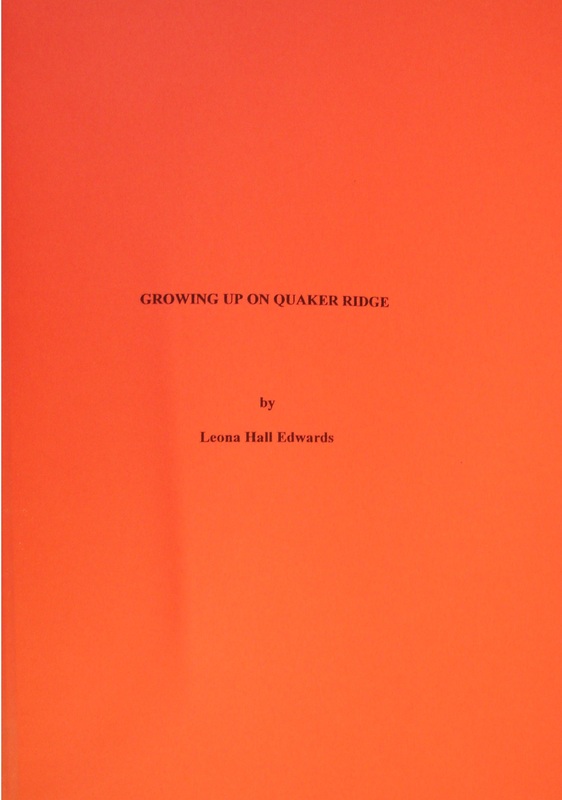 "Gems" is a compilation of RCHS newsletter articles, written from 1971-1991 by Ernest Knight. $21.99 each. 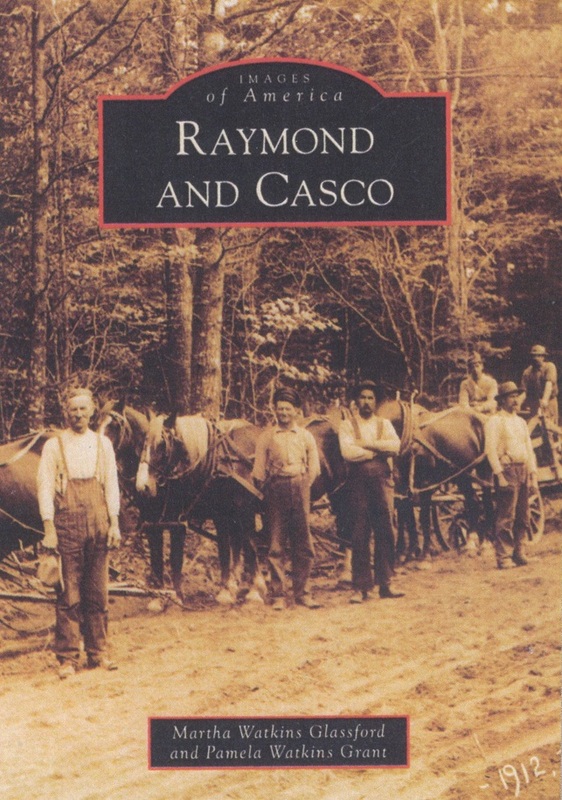 "Images of America: Raymond and Casco" by Martha Watkins Glassford & Pamela Watkins Grant. $5.00 each. 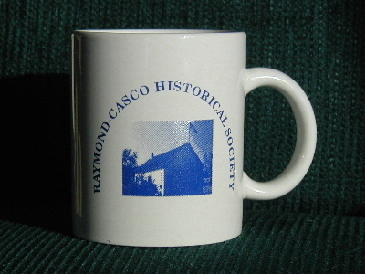 The RCHS mug features a picture of the 1849 Friends' Schoolhouse. $5.00 each. Circa 1977. 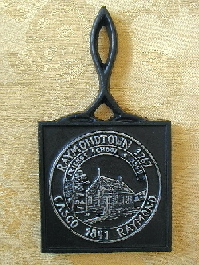 The metal trivet sold as part of the Society's first fundraiser effort &features a picture of the 1849 Friends' Schoolhouse. $10.00 each. These gray, cotton t-shirts are available in a variety of sizes and feature the Historical Society's logo. $10.00 each. These maroon hats are adjustable to fit most head sizes and feature the Historical Society's logo. Historical school house magnets are $2.00 each and paperweights are $5.00. The Historical Society has a variety of postcards to choose from. You can either pick your own at $0.75 each or purchase an assorted 10pk for $5.00.